Check out our TK-12 hot lunch provider - ChoiceLunch. Take a look at the resources available here, such as a walkthrough of the program and a sample menu, registration steps, and a quick overview of what ChoiceLunch offers. 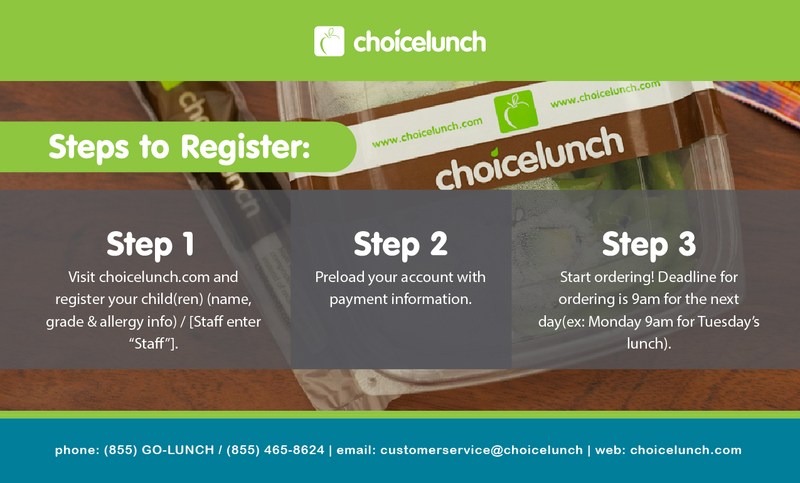 Check out more information on ChoiceLunch on their website & if you are interested in signing up this program.